For privacy reasons, we refrain from including photos of refugee families from our group events unless we are given explicit consent. Many are in precarious and volatile situations and it is necessary to protect their identities. 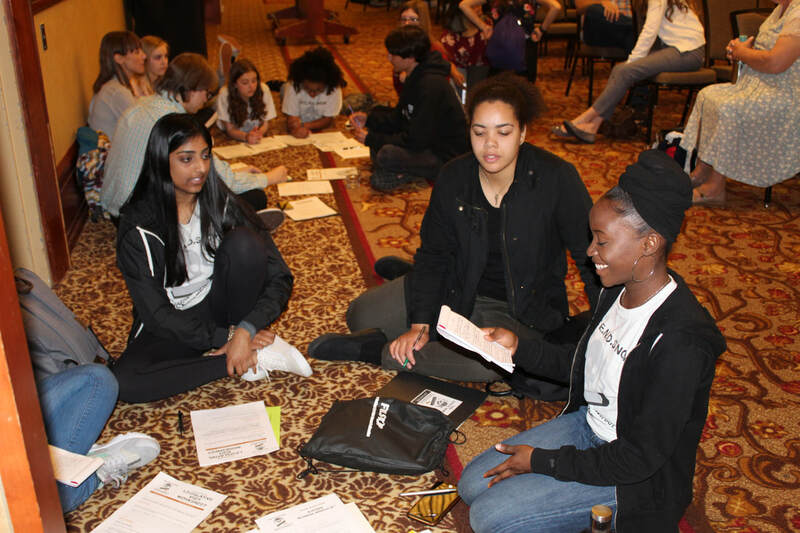 ​In March 2019, Sarina attended YouthQuest in Sacramento, California, to discuss tobacco and drug prevention amongst high risk youth in vulnerable communities. She spoke with legislators at the Capitol to discuss ways to promote healthier lifestyles for youth across America. On December 29, 2018, Sarina and her team attended the end of year Youth Winter Gathering hosted by Full Stop. The premise of this event was to promote a tobacco-free lifestyle, and encourage youth to get involved in community service work for social good. ​Sarina delivering her presentation on her community service journey with Pathways to Assimilation. She encouraged other youth to get involved in community service geared to their own passions and interests. ​On November 18, 2018, Sarina and her team attended the African Youth Empowerment Conference. Sarina spoke to over 75 refugee youth about the importance of education, ambition, and hard work to prosper. Sarina co-facilitating a collaborative and open discussion at the conference about the challenges and benefits of attending college, and the absolute necessity to work to obtain a higher education. She emphasized the importance of setting an ambitious, long-term goal and working towards achieving it. Sarina and Pathways to Assimilation member Layla with Walter Lam, President and CEO of Alliance for African Assistance, just one of many non-profits we work closely with. 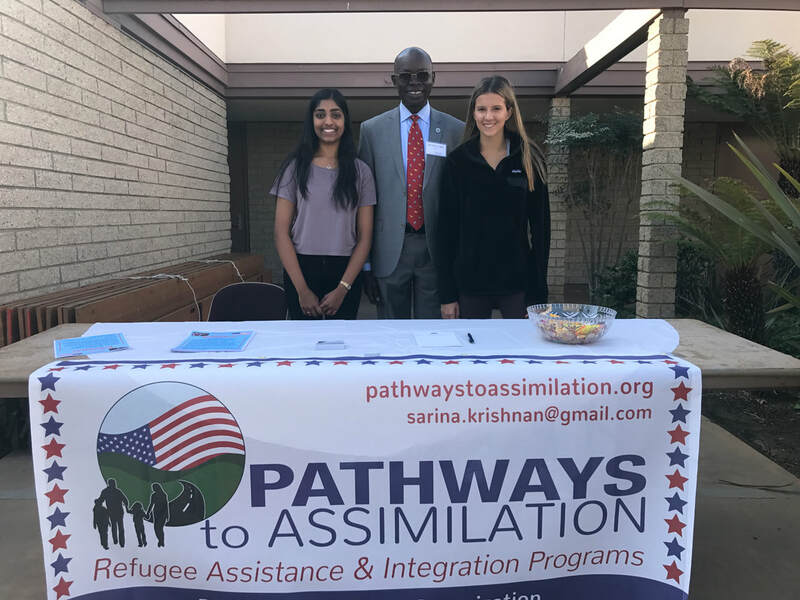 Sarina speaking to the refugees at the event she hosted at the El Cajon Library on September 2, 2018. She and her team organized this event to discuss any particular problems/concerns they might be encountering in the United States. Sarina noting the specific needs the refugees mentioned in the open discussion during the event.